A Christmas theater program with big and small artists is prepared for you. Every day Christkind appears in front of the town hall – to the delight of the children who will give it to them. Whether it is an ice rink, a caravan, a Christmas crib, a reading tent, a picture book cinema or a pet’s hunt, there is ample opportunity to enjoy, marvel and linger in the 17 days. Look forward to unusual products, original gift ideas and fine culinary delights! There are traders from Bohemia, Saxony and Silesia for busy markets. 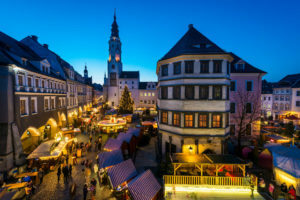 Specially under the motto “Schaufenster – Starke Region”, products are offered by Oberlausitzer companies: from baking mixes to beer specialties. 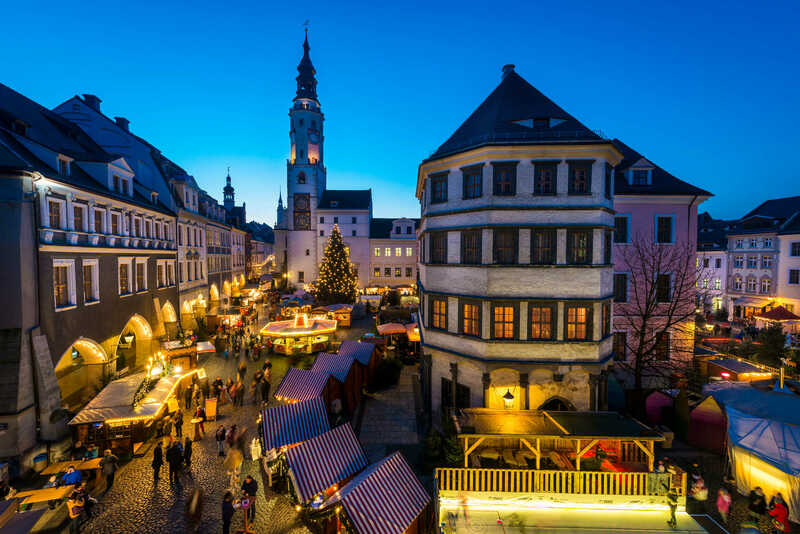 And right next to Untermarkt and Brüderstraße are romantic handicraft markets in the Silesian Museum and in the courtyard of the baroque house Neißstraße open.